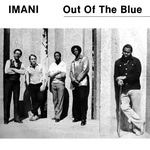 Mad About Records present a reissue of Imani's Out Of The Blue, originally released in 1983. The incredible San Francisco area jazz funk spiritual band Imani's Out Of The Blue was originally privately pressed in an edition of 500 copies. This is a deluxe reissue of an "impossible to find" original. Privately pressed by Preston Phillipps and Pam Byrd, this record has been called the "ultimate private press vocal anthem" of bay area jazz. If you like John Heartsman, Aposento Alto, or Minority Band, don't miss a true killer record. The label head of Mad About Records on the reissue: "I was at a 'jazz bop' party in Brighton, the UK in the late 1980s and Giles Peterson played an amazing track that I asked him about from across the booth. I could barely hear what he said -- all I caught was the word 'Imani'. Too much time had passed but finally, my own label, Mad About Records, is proud to present this ultimate jazz private press holy grail fully licensed." 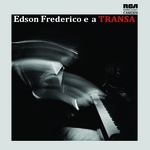 Mad About Records presents a reissue of Edson Frederico's Brazilian jazz-funk masterpiece, Edson Frederico e a Transa, originally released in 1975. 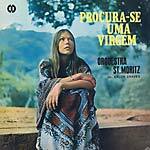 Reissued for the first time worldwide, this rare LP that has all the hallmarks of the best to come out of Brazil during the '70s: a perfect fusion of funky rare groove, tropicalia, and jazz. A lush warm vibe throughout is underpinned by Frederico's use of Fender Rhodes for the date. 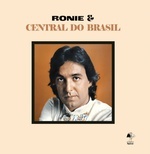 Remastered from the original master tapes, top musicians on this one include Bebeto, Luiz Eça, and Orlandivo. Limited/numbered edition on 180-gram vinyl, includes hardcover sleeve and obi. 2019 repress. Mad About Records present a reissue of Toni Tornado's legendary funk soul album, from 1972. Toni Tornado is a black Rio masterpiece, reissued here for the first time on vinyl. Son of a Guyanese father and a Brazilian mother, at eleven years old Toni ran away from home and ended up in Rio, where he made a living selling peanuts and shining shoes. Tony began his artistic career in the 1960s with the stage name Tony Checker, lip-synching and dancing on Jair Taumaturgo's Hoje é dia de Rock. In the 1960s, he traveled to the United States, where he lived for five years in New York, serving as a drug dealer and pimp, whilst pretending to be an employee of a car wash. At that time, Tony met another Brazilian in the form of singer Tim Maia. Back in Brazil, he worked in the group of Ed Lincoln and also sang under the pseudonym Johnny Bradfort, the owner of the club forcing him to pretend to be a foreigner. 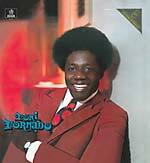 In 1970, he adopted the name with which he came to be known, Tony Tornado. Influenced by James Brown, Tony was one of the artists who introduced soul music and funk into Brazilian music. Brown's in-your-face approach to racial pride resonated in the ghettos as well as the slums abroad. Many black people, all around the world, embraced the consciousness and music of the black power movement. Working-class black cariocas (residents of Rio) of Zona Norte began using the English phrases "black power", "brother", and "black is beautiful". They played soul records at their bailes (dances) and incorporated the lyrics and sounds into their music. Maia, the godfather of "música soul", spent five years in the United States, coming to know the sounds of black America intimately. When he returned to Brazil in 1964, Maia incorporated these influences into his songs. By the 1970s, other Brazilian musicians, such as Tony Tornado, Banda Black Rio, Cassiano, Gerson King Combo, Jorge Ben Jor, and Gilberto Gil had begun making soul records. This new music spoke to an experience both universal and unique at the same time. By the end of the 1970s, funk and disco would take over where soul left off, but it was the latter that helped to shape a generation of artists around a universal black identity. 1970s "paste-on" packaging and obi; Edition of 500.